Carl’s areas of concentration are legislative representation and administrative law. Prior to starting his law own firm, Carl worked at three major Texas-based law firms and built successful legislative and public policy practices and achieved the status of partner. Over his 30-year career, he has managed both large and small external legislative teams or worked closely with other lobbyists to represent corporations, governmental and quasi-governmental clients, and trade associations. He has lobbied the Texas legislature on issues ranging from appropriations, financial services, education, elections, energy, environmental regulations, gaming, healthcare, housing, land use development, local government, insurance, public utility regulation, taxes, tort reform, transportation and water issues. He served as Vice President of Government Affairs for TXU Energy where he managed the company’s state legislative and regulatory advocacy teams and external consultants. Additionally, he managed TXU Energy’s employee-based political action committee and its associated activities. Carl is considered among Texas’ top power lobbyists. Capitol Inside recently ranked him among the top 50 Hired Gun lobbyists. In its 2009 and 2011 lobby power rankings, the publication ranked Mr. Richie second and fourth respectively in the “Corporate In-House Lobbyists” category as the lead lobbyist for energy giant TXU Energy. In the law firm category, he ranked among the five in 2003 and 2005 as a lobbyist with the law firm Gardere Wynne Sewell, LLP. Carl has extensive legislative experience, having worked at all three levels of government; local, state and federal. He began his legislative career serving as a Fellow to a member of the United States Congress. Following that, he served as a Chief of Staff to a member of the Houston City Council. Carl went on to serve as a legislative assistant to two former State Senators, John Sharp, and Rodney Ellis. He also served as Deputy Chief of Staff to Texas Governor Ann W. Richards. While serving in the Governor’s office, he led the Governor’s Ethics Commission Task Force, which established the Texas Ethics Commission and he served as the agency’s Interim Director. Carl also is a skilled administrative litigator. He has represented clients in administrative matters before state and federal agencies in the areas of campaign finance, energy matters, and housing issues. Carl has extensive experience representing clients in numerous areas of the electric utility industry, including competitive retail providers, independent power producers, power marketers, utilities, municipal utilities, and consumers. Carl has participated in numerous contested and negotiated proceedings before state and federal regulatory agencies. He also provides strategic counseling and governance representation to nonprofit organizations. In 2007, Carl was recognized as one of Best Lawyers in America by Woodward/White. In March 1991, Carl was one of 60 individuals to be named as “A Rising Star” in American politics by Campaigns and Elections magazine. Additionally, he was one of 35 individuals from across the country in the executive, judicial and legislative branches of state government to be selected to participate in the Henry Toll Fellowship and was elected Class President of the 1993 Fellows Class. Carl is very active with local, state and nation civic organizations. Currently, Carl serves as President of the National Association of Housing and Redevelopment Officials (NAHRO). 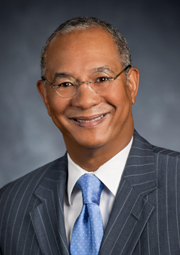 He also serves as Chairman of the Board of Commissioners for the Housing Authority for the City of Austin. He has earned numerous state, regional and national awards for his work in public housing. He is certified to teach courses in the area public housing and ethics. Carl is married to Nan Burley Richie and they have a daughter, Ana Elizabeth.